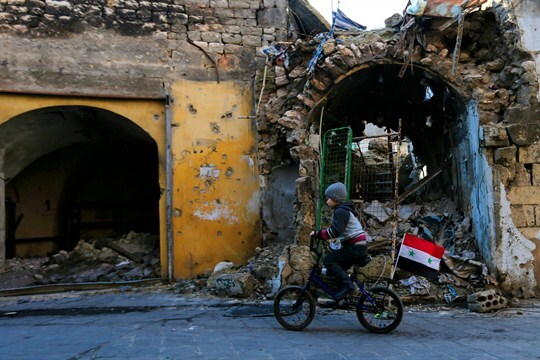 A Syrian boy rides his bike through the destruction of the once rebel-held Jalloum neighborhood in eastern Aleppo, Syria, Jan. 20, 2017 (AP photo by Hassan Ammar). Carl von Clausewitz, the eminent 19th-century Prussian military theorist, believed war could best be understood as the interplay of three powerful forces: hatred, rationality that focuses hatred on political objectives, and chance. Chance made war unpredictable, but rationality, by making killing a means to an end rather than purely an act of hatred, kept it from becoming even more violent than it otherwise might be.